The bag boys at the grocery store hate me. I bring my own bags for a reason. That means I don’t want my wine in it’s own bag, and I don’t need ice cream in an additional bag. I watch and “make suggestions,” and generally drive them up a wall. The ladies at the shop who manage to throw that one item you’re buying into a bag before you’ve even had a chance to say you’ll throw it in your purse? and then they just throw the bag away when you say something. Bags drive me nuts. So do bag pushers. 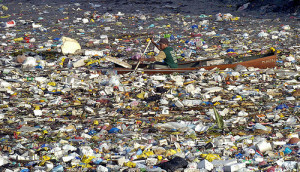 The Great Pacific Garbage Patch also stresses me out. 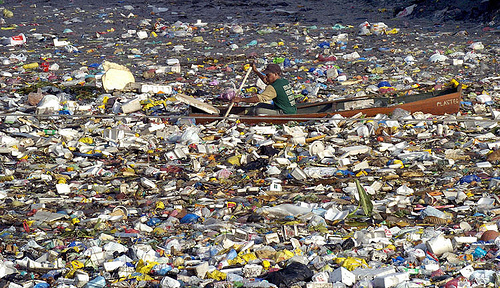 It’s made up of plastic garbage bags, water bottles and other pollutants that have gathered in one huge pile the size of say, Texas or twice that of Hawaii depending on which sources you consult. I care enough to do my best to minimize my impact on the earth. I’m not an activist, and I haven’t dedicated my life to combatting this. I’m not going to tie myself to a tree but forest devastation makes me sad. I’m far from perfect. I’ll drive a mile sometimes rather than walk. I fly on airplanes. I use the earth’s resources. But I can do my part, the best I know how, and that makes me feel good. When Tim Frick told me about the B Corporation on a phone call we were having a few months ago, I knew this was the right move for my business. As I re-launch my business from scratch, one thing has been gnawing at me; and that is wondering what my one thing is. B Corporations do more than create profits for it’s stakeholders. It encourages purpose-driven organizations to solve environmental and/or social problems. Being certified is similar, say to Fair Trade Certification for products or LEED for development. How will I differentiate Big Leap Creative? As I ponder this, I look at the mountain lifestyle clients I work with and where I live and work. I’m on a mountain with a ski-in/ski-out office. I believe work/life balance is critical to professional an personal success. I work with clients who feel the same and stand for things like sustainable development, refillable wine bottles, and new urbanism. Things like preserving the earth, making trails and recreation accessible to all are important to me. There are two kinds of people: The receivors and the do-ers. I’ve worked in a number of associations (Downtown Seattle Association as well as our local retail association here in Sandpoint.) for coalitions of retailers and this is where I noticed it most. Receivors are most interested in what the world can do for them, rather than the other way around. Government and the nonprofit sector are necessary but insufficient to address society’s greatest challenges. Business, the most powerful man-made force on the planet, must create value for society, not just shareholders. We must be the change we seek in the world. All business must be conducted as if people and place mattered. Through their products, practices, and profits, businesses should aspire to do no harm and benefit all. So here is how it works: I took the online B Impact Assessment after which I was assigned a representative who will help me through the process. We had a follow-up call and I’ve created a spreadsheet of things I need to do to improve my score and qualify for the certification. The process is fascinating. It will really force me to integrate caring and giving into the mission and operations of my business. It will make me put my money where my mouth is. Without making Big Leap Creative better or worse, it will differentiate us and make us appealing to your target market. A community service and giving policy complete with metrics and objectives. A supplier policy that favors supporting local, and women- and minority-owned businesses when possible. As I add employees, I’ll have policies supporting them and their community service. I’ll incorporate all of this into the company mission and work with clients that align with this thinking. As I progress, you may notice I’ll be adding new content to the site that discusses these items. I’ve already blogged about brands that reflect this philosophy such as Patagonia and Seabrook Land Company. Maybe I’ll even find the compassion and patience to be nicer to the bag boys moving forward. Maybe they have a more PC title as well. I’d love to hear from you – what differentiates your business? Despite the fact that you use Disqus and Disqus hates me, I’ll comment…. I love this and am going to check this out. And quite pertinent right now as I just got home from a meeting and found this thing on my front porch that is apparently called a phone book. Hello, trash dump! This is been a very very cool process and I’m only a few months into it. There are lots of people to help along the way. looking into it now, and depending on how the mood strikes, you might get a mention/link in a post this week. Perhaps tomorrow. In most places here (in Canada), you can purchase a bag, but they’re no longer given out. We’ve become accustomed to bringing our own bags everywhere. I have thermal ones for groceries, cloth ones for shopping. It’s amazing how, like seatbelts, it’s just a taken-for-granted thing to do now. I’ve actually looked into the B Corp status briefly. If I ever get Write Right to the point where it needs to be, I plan on pursuing the certification. I want to give back, probably through support of reading and writing initiatives. I’d love to be able to give books to kids who don’t have any of their own or to help people discover the gift of reading. Wow. This is really interesting! I hadn’t heard of B Corps before. I might have to look into this as I’m a big fan of doing work that matters – beyond just the daily grind and making a living. I want my business to make a difference. This might be one way to do that. Thanks for sharing! Very cool, Laura! Let me know what you think, and if you have questions. It’s a cool process.